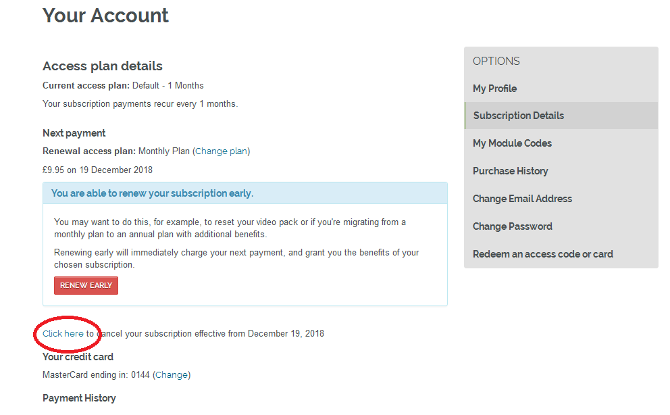 If you are a monthly subscriber, you can cancel your subscription at any time. Just go into 'My Account' select 'Subscription details' and you'll see the option to cancel your subscription before the date of your next payment. We'll be sorry to see you go, and you'll be welcome back any time! As an annual subscriber, you will have paid for your account up front and therefore, you have access for the year. We automatically renew your account at the end of this year but we will give you plenty of notice before we do so. If you don't want us to renew your account just respond to our reminder email or jump into my account and subscription details and cancel your subscription as above.